Whisky fans travelling through the Middle East can now stop off for a sensory whisky experience at Bahrain International Airport, where the region’s first Johnnie Walker House has now opened. 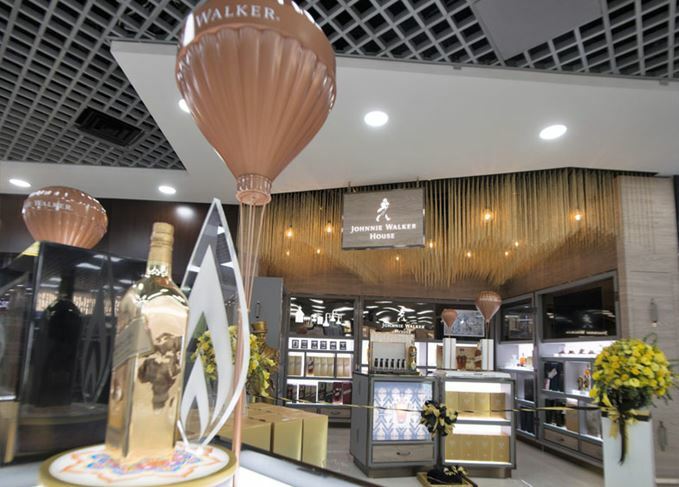 The new House at Bahrain Duty Free, situated in the airport’s departures lounge, is a permanent ‘whisky embassy’ designed to educate travellers through offering a sensory shopping experience. The store features a ‘whisky scent bar’, where visitors can explore the blended Scotch’s key aromas, and offers opportunities to personalise gifts and customise labels. A number of exclusive limited edition bottlings will also be available at the store, including John Walker & Sons Master Blenders Collection and the Johnnie Walker House Willow Collection. Johnnie Walker considers the Middle East a ‘key location for super deluxe Scotch whisky’. It also opened its first permanent House in Europe at Amsterdam's Schiphol Airport in June this year. Johnnie Walker fans not due to pass through Bahrain any time soon can still visit any one of the other Johnnie Walker Houses in Beijing, Seoul, Shanghai, Chengdu, Taipei, Mumbai, Johannesburg, Singapore, Auckland, Brisbane, Paris, Amsterdam and Atlanta.